One of the must-see sights in London this summer and autumn has been the art installation of poppies surrounding the Tower of London. Here are a few photos I took when I visited a few weeks ago. 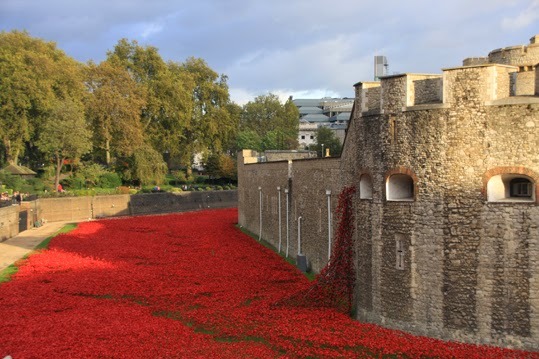 Called Blood Swept Lands and Seas of Red, the art installation marks the centenary of the first full day of Britain's involvement in the First World War. It was created by ceramic artist Paul Cummins and stage designer Tom Piper. 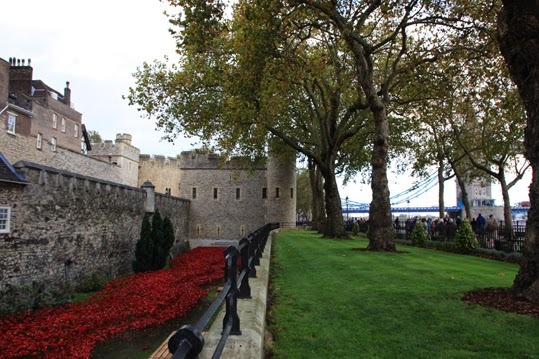 Since early august, 888,246 ceramic poppies have gradually filled the Tower's moat - each poppy representing a British military death during the war. 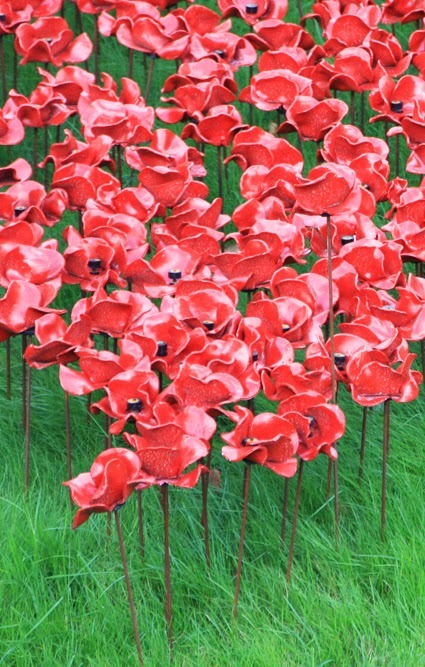 The display runs for just a few days more - until 11 November, which is Armistice Day, Remembrance Day or Poppy Day. Remembrance Sunday, the Sunday nearest to 11 November, which this year falls on 9 November - this Sunday.